Titanium helmet HOPLIT F1200 made by ULBRICHTS Protection. Schwanenstadt (Austria) – 12 of the 16 German federal states have decided to procure ballistic protective helmets for patrolmen. About 90 percent of the helmets are made by the Austrian expert for ballistic titanium helmets ULBRICHTS Protection. State interior ministers and police chiefs have publicly presented ULBRICHTS titanium helmets as part of their protection concepts in recent weeks. Other federal states are currently examining the procurement of ballistic helmets for use on patrol. In Austria, as well as in some Swiss cantons, the personal protection equipment for the patrol officers is currently being supplemented by ballistic titanium helmets. The Czech Republic, France, Finland and other European countries are also considering the acquisition of ballistic titanium helmets. The background to these procurement initiatives are the terrorist attacks of the recent past, which have led to a reassessment of the threat situation, as well as to the adaptation of deployment and equipment concepts. The escalation of violence at the G20 summit in Hamburg in July 2017 has lent additional momentum to the issue of better protection for police officers. Shortly after an emergency call, it is usually patrolmen who are the quickest to arrive at the scene as “first responders”. Many scenarios, in particular rampages, killing sprees or terrorist situations, mean that the police cannot wait for their colleagues from the special forces. New operational concepts therefore provide for immediate intervention. A major threat comes from projectiles fired at close range, a danger which applies during both anti-terrorist operations and handling rampages and killing sprees, as well as the much more frequent use of firearms without a terrorist background, e.g. robberies. Titanium helmets offer the most effective protection against direct gunfire, for example from a submachine gun. The material prevents the helmet wearer from being seriously or fatally injured as a result of the helmet’s deformation. 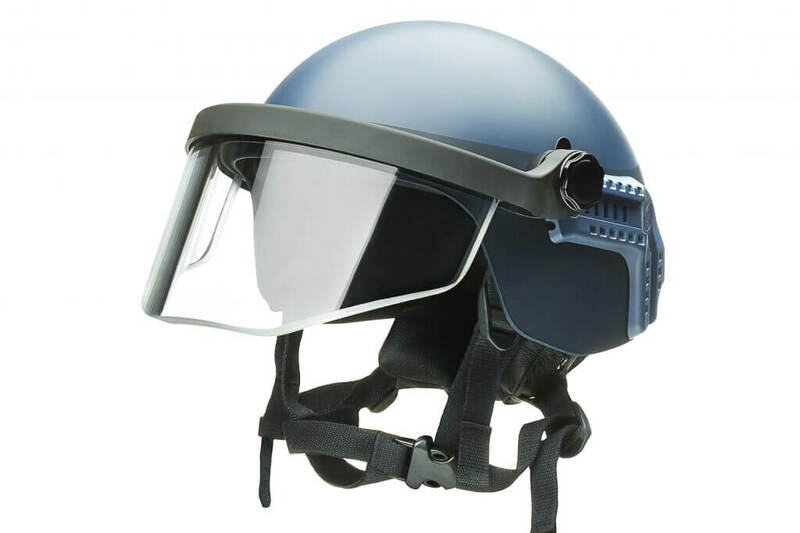 ULBRICHTS helmets fulfill the technical requirements of the Europe-wide recognised “Technische Richtlinie (TR) – Gesamtsystem Ballistischer Schutzhelm 05/2010”. The Guideline not only takes into account the stopping effect, but also the dangerous “trauma effect” in accordance with the VPAM Test Guidelines (Vereinigung der Prüfstellen für angriffshemmende Materialien und Konstruktionen) HVN 2009. The term refers to deadly injuries that can result from the helmet’s deformation, even if the helmet has stopped the bullet. In addition, titanium helmets offer protection against explosions, stabs, blows and chemicals. In addition, all components are flame retardant. The inner helmet system can be precisely adjusted to the respective wearer by a single touch of the rotary knob on the outside. Thus, the first response helmet can be adjusted to 14 different head sizes in just a few seconds. 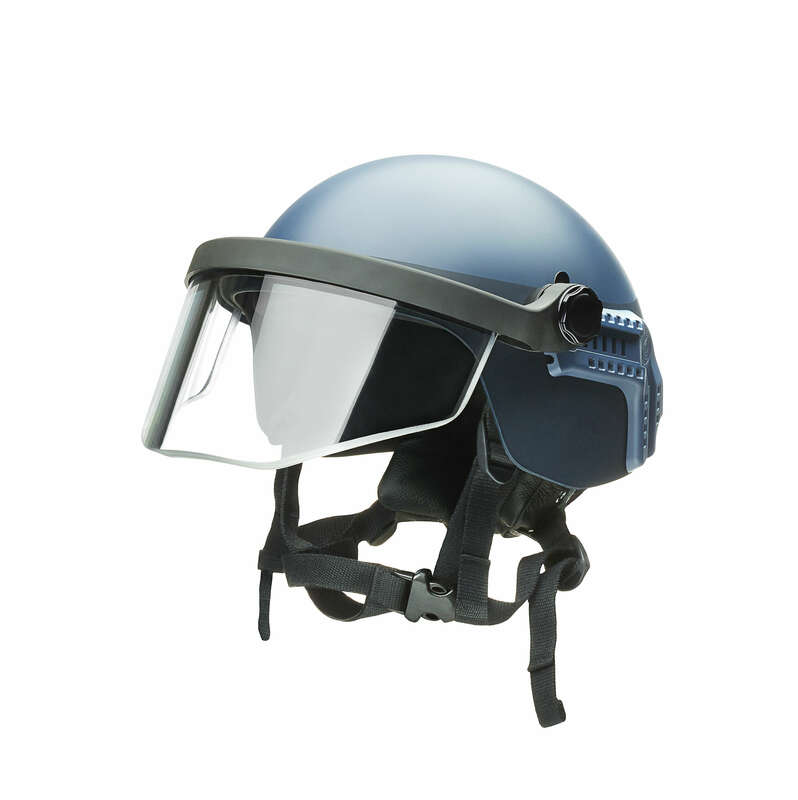 The “HOPLIT” by ULBRICHTS Protection offers a ballistic safety helmet that can be used by patrolmen and which provides effective protection, e.g. during terror attacks, rampages and killing sprees. The HOPLIT achieves the same level of protection that was previously only available to special forces. But by tailoring it to the needs of patrolmen, the HOPLIT is much lighter than the larger special force helmets. In addition to the quick-size system for quick size adjustment, the HOPLIT titanium helmets are optionally available with a sighting adapter and various ballistic visors. Additional improved splinter and bullet protection can be achieved by choosing a hybrid variant made of a titanium-aramid composite. The superior level of protection, the high wearing comfort and the long service life distinguish titanium helmets made by ULBRICHTS Protection. ULBRICHTS Protection in Schwanenstadt in Austria is a division of ULBRICHTS Witwe GmbH which manufactures ballistic helmets made of titanium and titanium aramid (hybrid). The company’s international customers include special police forces, police units and the military. ULBRICHTS Protection is one of the pioneers in the field of ballistic head protection. As early as the 1950s, the company began producing steel ballistic helmets. Since the 1990s, the specialists have relied on the lightweight and high-quality material of titanium. At the same time, they specialised in providing ballistic protection to police forces. Decades of research and development, various patents and special manufacturing processes form the basis of the company’s innovative strength and make it the market leader in Central Europe.